I feel badly about dumping on all these products, but I think it's really important to keep pressure on manufacturers to test more thoroughly so that we actually get what we pay for. 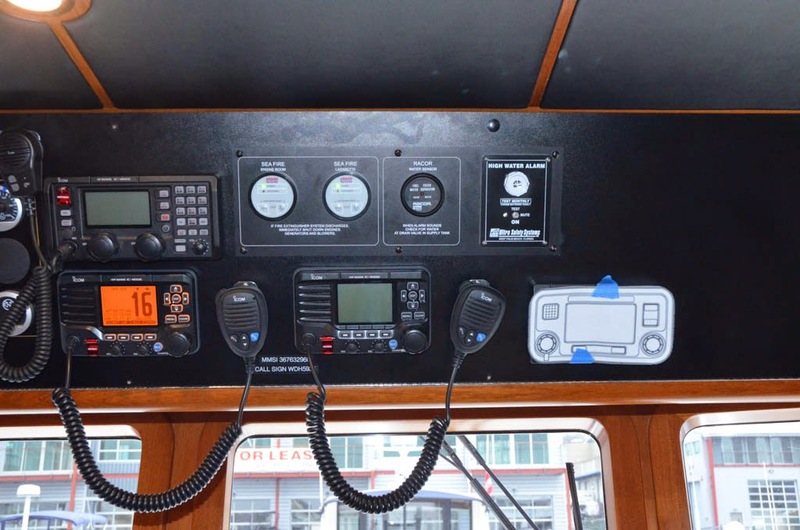 With that preamble, let's talk about the bugs in the Simrad NSO EVO II. CPA and TCPA is not calculated and often blank for AIS targets. Sometimes no data shows at all. 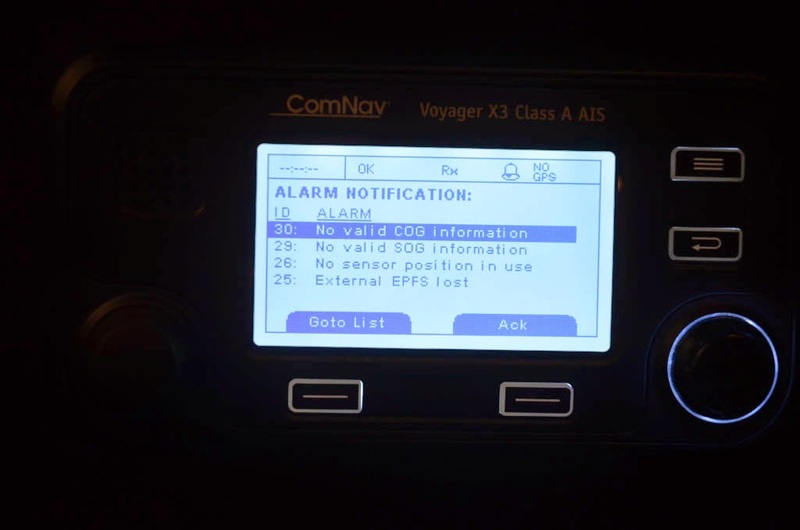 But if I go to Coastal Explorer and look at them, all the info there and CPA and TCPA are calculated fine, so the AIS device itself is working fine and putting all the data on the N2K bus. 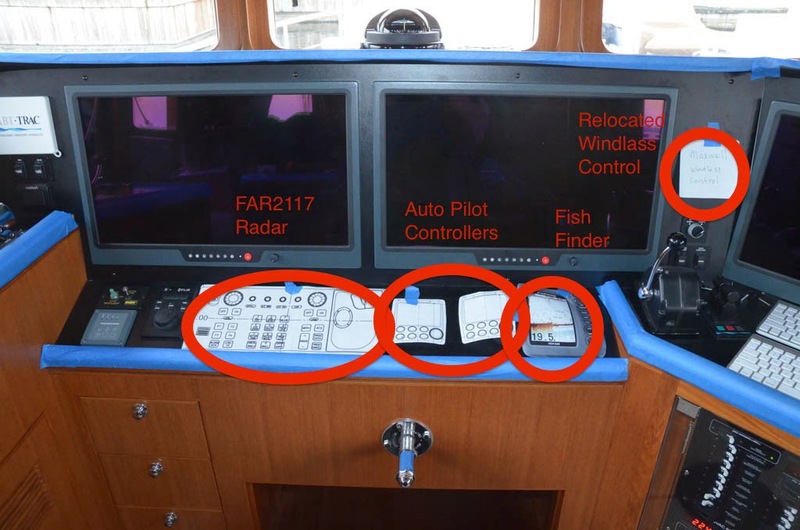 Simrad told me this is a known problem that is fixed in the next release. They just released version 3, so perhaps this has been fixed. The pictures below show the problem. These happen to be the radar screen, but if you drill down on any of the targets, you get the same results. 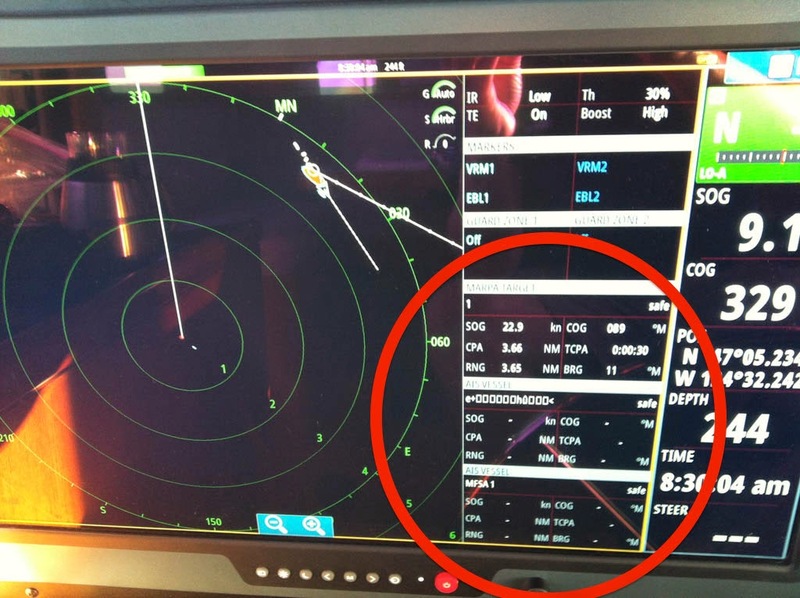 In the first picture you can see that the first target, "Destiny", shows SOG and COG which is info included in the ship's position report coming from the AIS receiver. But CPA, TCPA, RNG, and BRG are all missing. These values are calculated (or not in this case) by the NSO. The second two targets are fine. The next picture shows the problem again, but now there is no data at all other than the ships name, and even that appears to be jibberish. Note that the first target is a MARPA target, and only the second two are AIS targets. 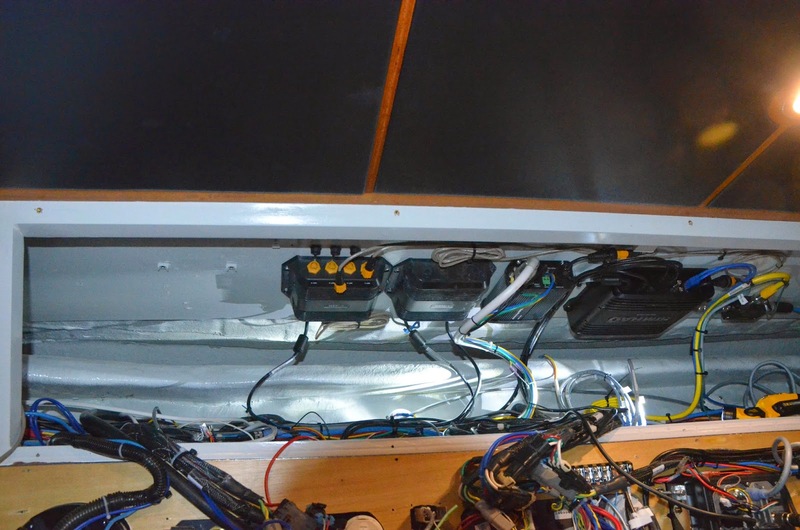 The next problem also relates to AIS processing and display. The targets are supposed to be sorted by either CPA or range. So the targets we see listed here should be the most dangerous. But these appear to be in a completely random order. The NSO provides a way to change the instance number on N2K devices. It's a nice feature, and easy to use. But depending on how you work through the steps, when you finally give the OK to make the change, the NSO gets stuck forever "Configuring device". 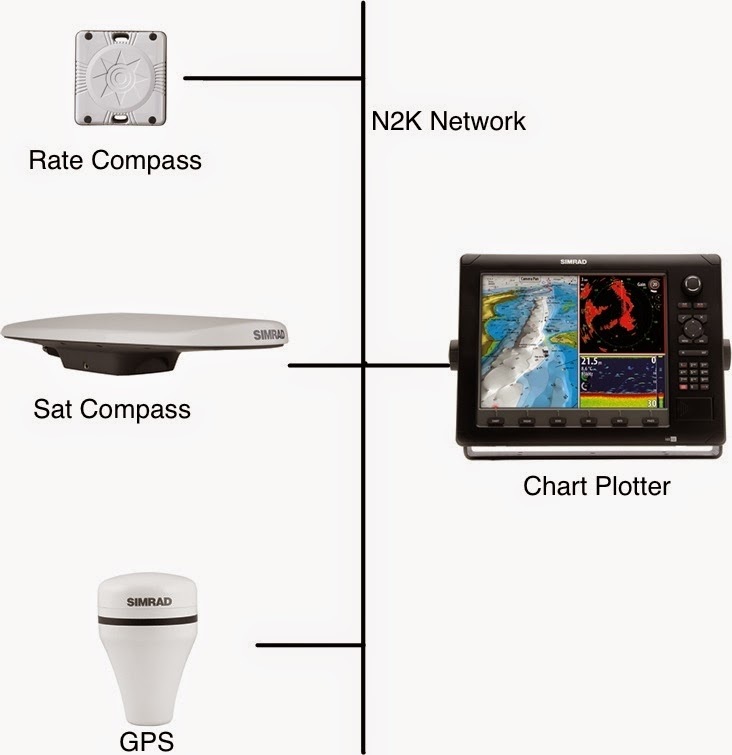 I worked out the exact procedural steps to reproduce this and gave them to Simrad. Fortunately, if you hit the Cancel button you can recover from this. This issue will appear twice, once here under the NSO, and again under the Auto Pilot bug list since both products are party to the problem. 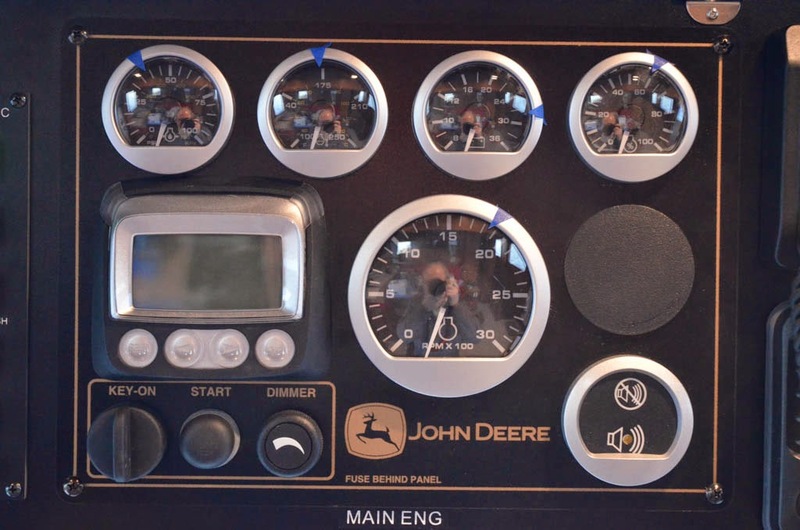 The issue is that depending on the sequence in which you power up the NSO and the autopilot components, the AC12 auto pilot computer becomes forever un-discoverable. 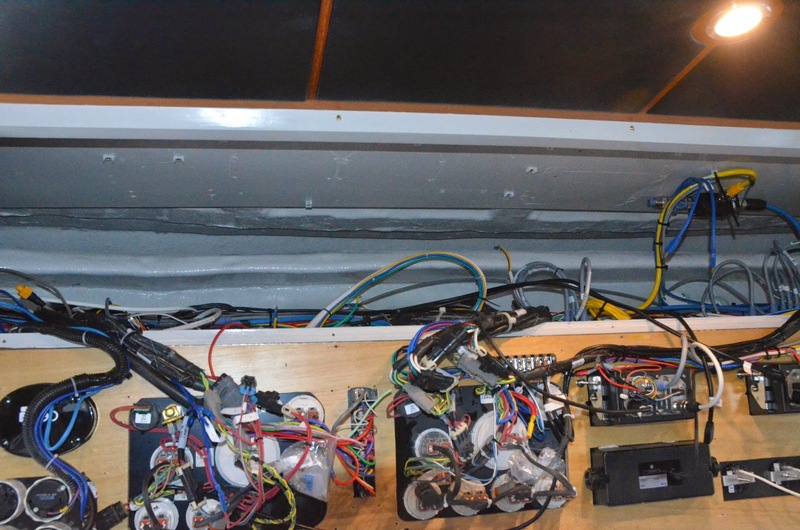 More particularly, if you start up the NSO first (turn on breaker and push the pwr button so it boots up) before you power up the AC12 (turn on it's breaker), the NSO will not discover teh AC12 and will alarm saying there is no auto pilot computer. 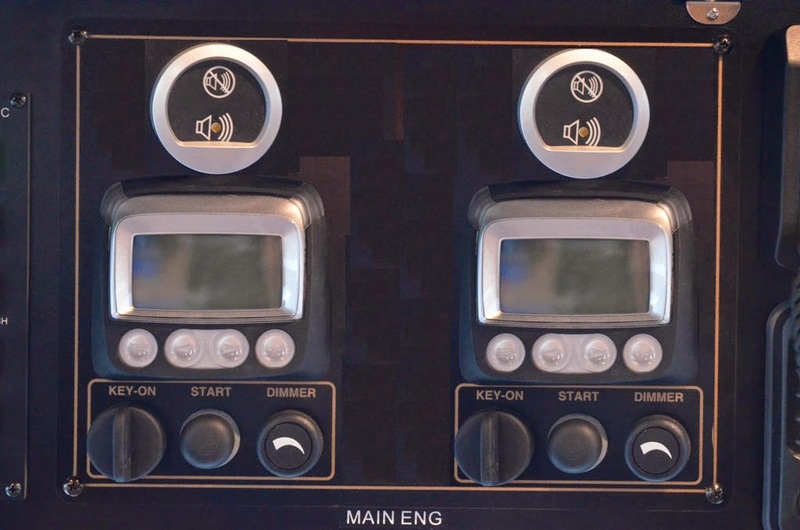 Furthermore, if you power up the AP controllers by pressing their PWR button (they get power from the N2K bus, so there is no dedicated breaker) after they boot up they alarm as well saying there is no AP computer. At this point, you can power down again adn back up in any order and neither the NSO or the AP controllers will be able to find the AC12. It's like it's been disconnected. HOWEVER.... if you cycle power on the N2K bus, then turn on the breaker to the AC12 before turning on the NSO, it recovers. 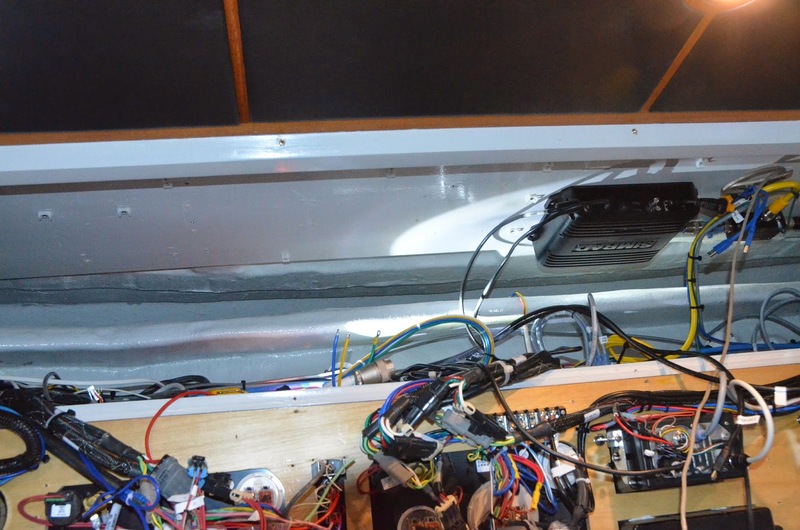 And as long as you power on the AC12 before the NSO, it will continue to work fine. But is at any point you forget and power on the NSO first, it again locks up. OK, there you have it for the NSO EVO II. 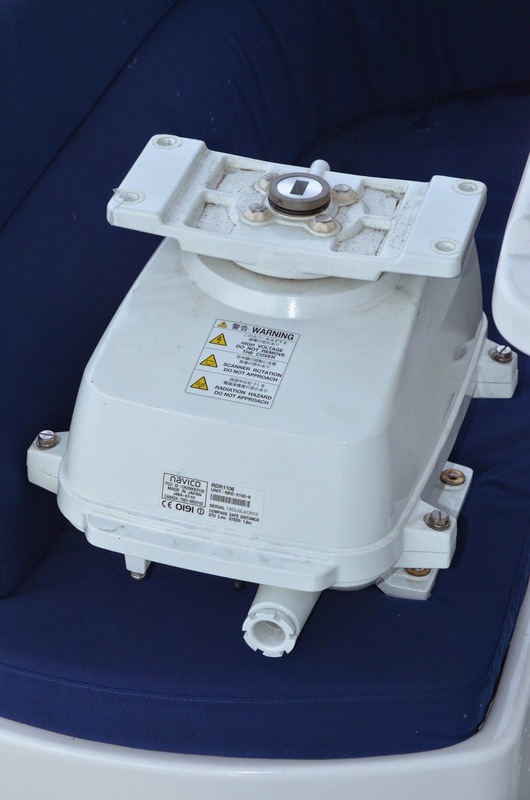 One of the driving reasons for removing all the Simrad gear from my boat was the radar and associated bugs. Top of the list among the bugs (all of which I will share) is erratic MARPA performance. MARPA stands for Mini Automated Radar Plotting Aid, and is a poor man's version of ARPA (Automated Radar Plotting Aid). For the sake of simplicity, I'm just going to refer to it as ARPA. The difference, as best I can tell, is that ARPA can automatically acquire targets within a specified area, where with MARPA they need to be manually acquired. But that is jumping ahead. ARPA let's you "acquire" a target. It all sounds very military, but it's a really critical feature for navigation and collision avoidance. When you acquire a target, the radar tracks that blip on the screen, and calculates it's course and speed based on it's observed movement. It's all basic trigonometry, and a great example of how that stuff is actually useful. As one of my kid's teachers used to say, "math is everywhere". So in the middle of the night, or in the depth of fog, you see a blip on the radar. Rather than watching the blip and trying to assess where that boat is going and what it's doing, you can acquire the target on your radar. 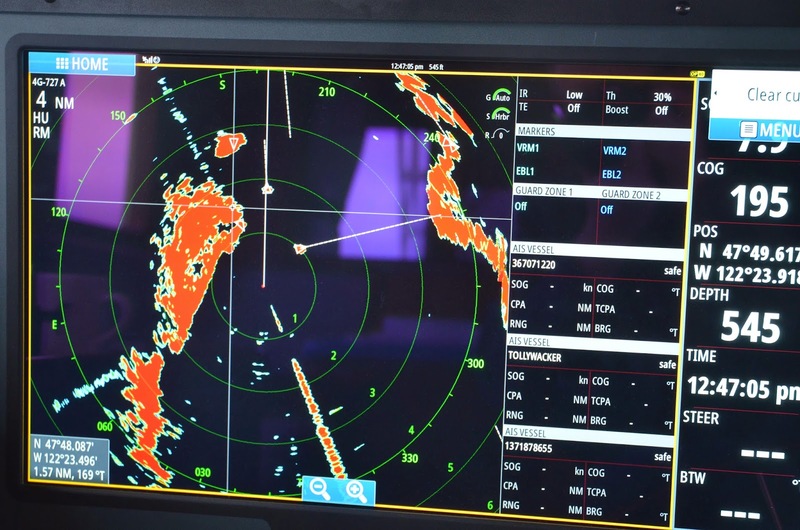 Within a minute or so, the radar will show a vector (see, math is everywhere) indicating the target's direction and speed. Now, rather than guessing, you can see exactly where that boat is going, and how fast they are moving. This is hugely valuable, and probably hard to appreciate if you haven't tried to navigate in the fog. 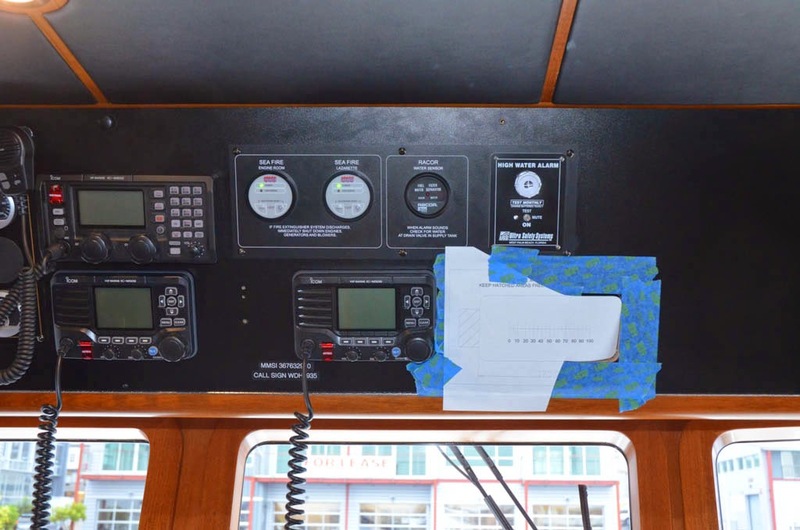 We've made a couple of trips from Gloucester to NYC, a trip of about 300 miles through some of the busiest waterways on the east coast, and never seen land or another boat the whole way. That wouldn't be possible without ARPA, or at least the stress level would prevent me from doing it. 3) The vector's length (boat speed) is also unstable and varies widely. 1) The ARPA course and AIS course differ significantly. They should be the same, or very close. 2) You can see that the ARPA vector swings around rather than maintaining a steady course. 3) You can see that the ARPA vector changes length by quite a bit. It should be a consistent length. representing a steady speed. The result is ARPA that is simply not usable. 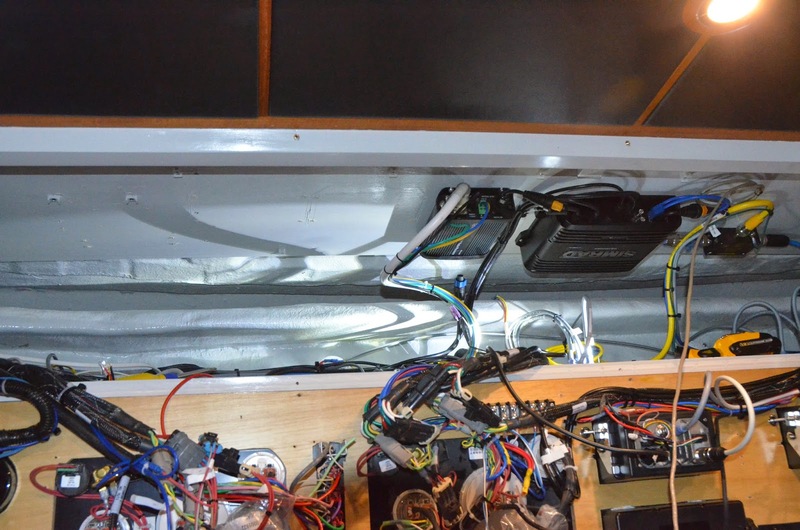 I've worked through a wide range of tests and experiments with Navico support and engineering, and the installation has been scrutinized every way to Sunday and passed with flying colors. Engineering finally reproduced what I have been seeing and agreed there was a problem they needed to fix. 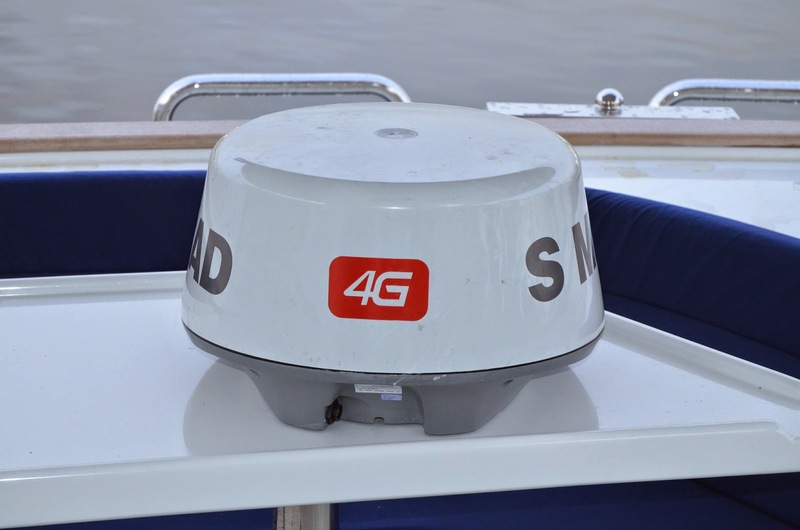 This impacts both my radars (4G and 10kw open array), and based on reports from other Simrad owners, appears to be a long standing problem that has gone unnoticed until now. As part of testing, one thing Navico asked me to do was to acquire the same target multiple times. They wanted to see whether there was any difference between the different targets. The next video shows this. I acquired the target three times, and you can see that two of the vectors are mostly in lock step with each other, but the other is pointing off in a different direction. And all three wander around. Over on the right side of the screen you see a bunch of data boxes, include 3-4 larger ones showing various AIS targets. My understanding is that these are supposed to be the closest target. But you can see that there is no data in the data boxes. You see a ships name in one case, and just the MMSI (ship's number) in the others, but there is no course or speed info, and no computed CPA (closest point of approach), or TCPA (time to closest point of approach). If I look up these ships on Coastal Explorer (it also receives and displays the AIS data), all the info is there just as it should be. So the receiver is working and the data is available, but the radar is not displaying it properly. The targets plot correctly on the screen, but the data boxes are not filled in, and the CPA and TCPA is only occasionally calculated. The radar incorrectly reports the operational hours on the Magnetron. A Magnetron is the part of the radar that generates the ping used to find targets. It's the Flux-Capacitor for a radar, and it has a limited life span. They are good for a few thousand hours, but when their time comes they need to be replaced. So all radars have a built-in hour meter to keep track of this. 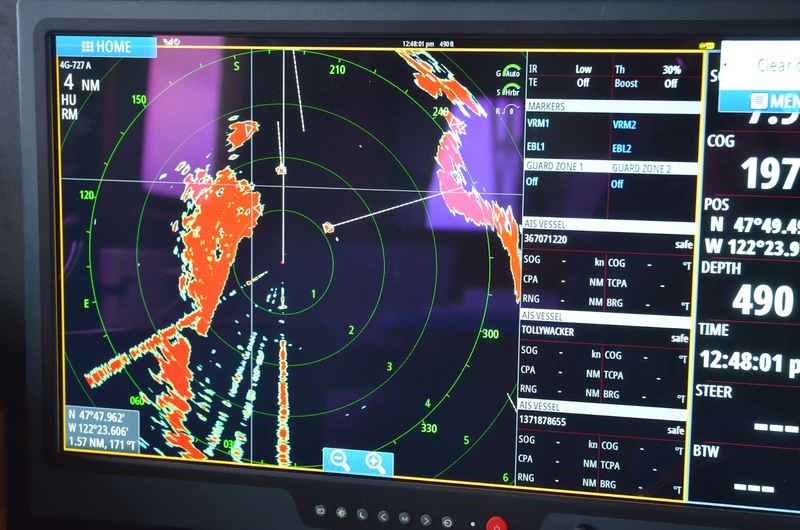 The Simrad 10kw radar reports a seemingly random number of operational hours. 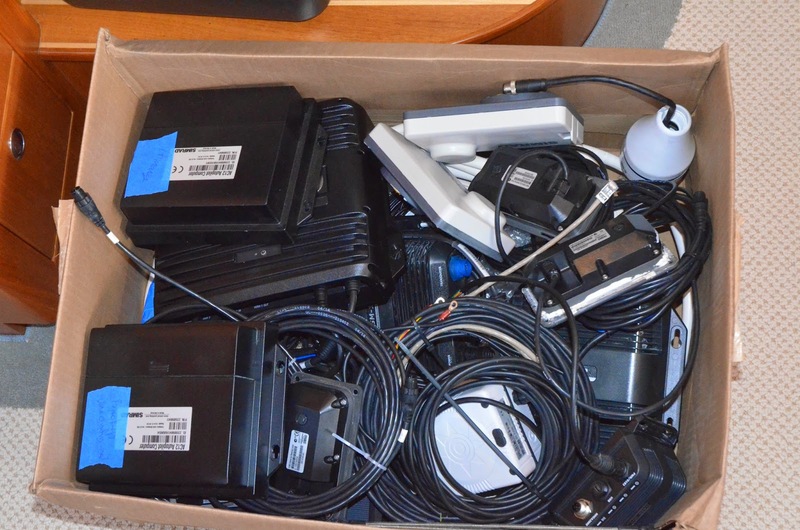 The first time I looked, it reported 26,000 hours and I thought I had been sold a used radar. But the next time it reported a very small number. 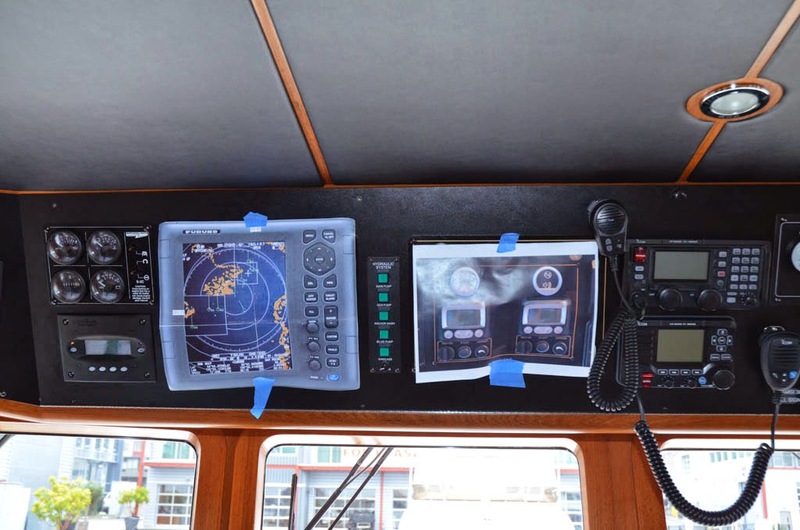 Simrad confirmed it's reporting garbage info. I don't know how to maintain a radar under such circumstances. I guess I need to buy an egg timer. 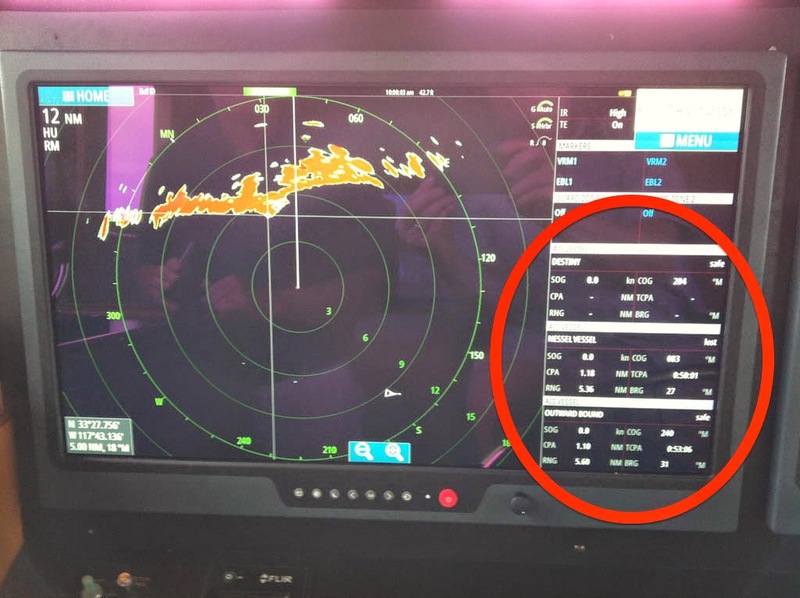 Simrad advertises a feature whereby you can tell the open array what angle you want it to park at. Most radars just stop where they stop, and this little feature was really interesting to me since it allows the radar to be parked where it doesn't shade my solar panels. 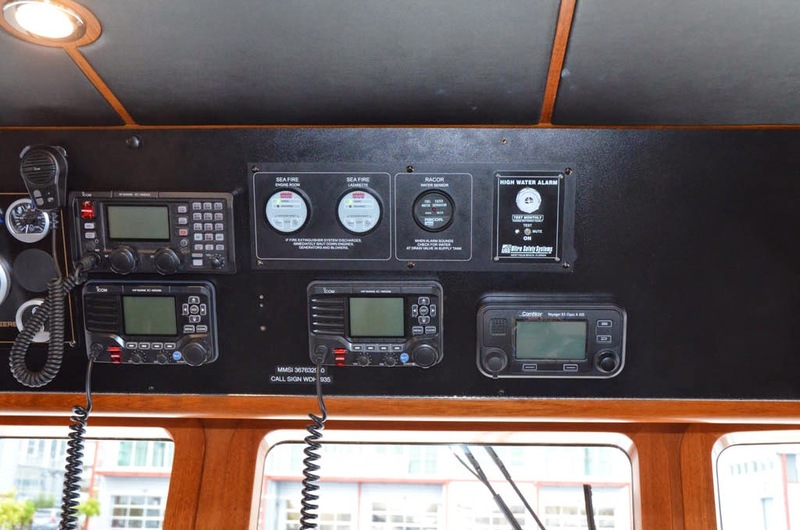 But despite numerous attempts to park the array in a predictable manner, I called Simrad tech support. They told me that the feature didn't work. Worse yet, they know it's not possible for it to ever work. The radar has no brake, so they have no way to control where it stops. WTF? Talk about false advertizing. Wow. This one is related to the park angle that doesn't work and can never work, so it's kinda moot, but it's reflective of the overall disregard for product testing before releasing it for sale. You can go into the radar menus on the NSO and program in the angle where you want to array to park. But when you turn the radar off, it forgets the angle that you programmed in. So you need to reprogram it very time you shut down the radar. This is another ARPA problem. If you lock onto a target, then shut off the autopilot, the ARPA vector swerves off about 90 deg from the actual course of the target. These two systems should have nothing to do with each other. Why turning off the AP impacts ARPA is beyond me, but it does. 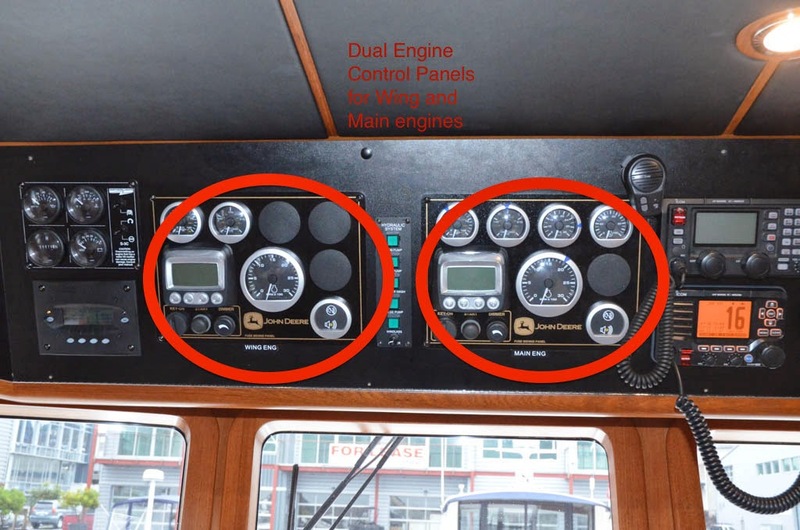 A friend tried the same experiment on his Simrad equipped boat and got the same results.